With Activ5 you can build strength and muscle by sitting around and not moving. A catch? Of course there's a catch! There always is. Activ5 is an isometric-based strength trainer - you don't have to move, but you do have to squeeze it really, really hard. And hold the squeeze. Come on, for 30 more seconds. Tighter, tighter...breathe through it...come one, use your core, brace it up...tighter for 5, 4, 3...aaaand release. OK, 10 seconds and we go again. 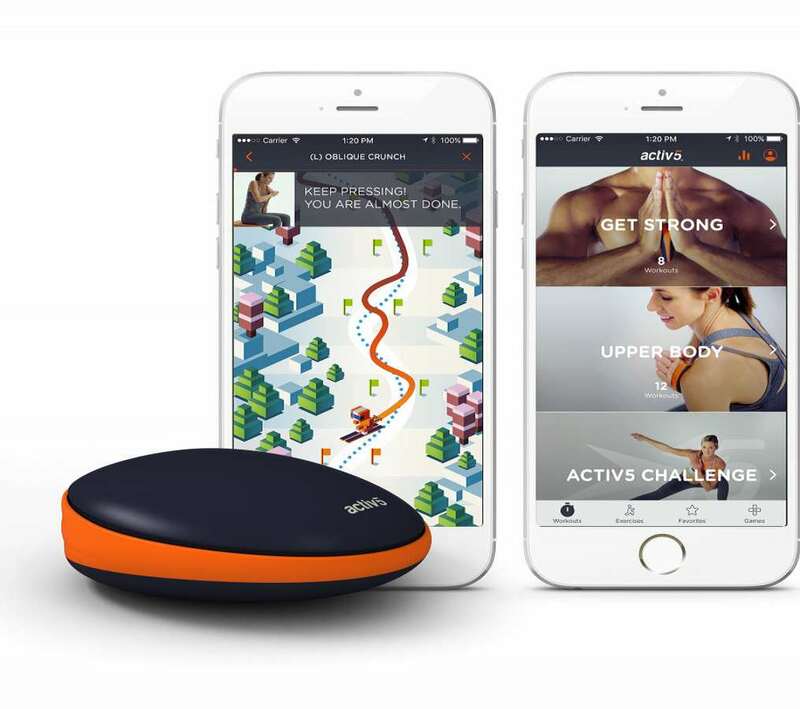 The Bluetooth-enabled Activ5 looks like a giant skipping stone, but inside the handheld fitness device are sensors that measure the pressure and precision you apply to it, how long you can maintain them, and their fluctuations over a set. All of this information reads out in real-time on the Activ5 app. The Activ5 app also serves as personal trainer that will coach you through over a hundred 5-minute, full-body workouts, and measure your performance throughout. Workouts are a mix of seated and standing, plus some advanced low-impact, movement based programs. Activ5 says many of them are suitable for people of any age and fitness level. More importantly, the portable trainer is intended to give people with limited time and space the opportunity to squeeeeeze in a workout with a spare 5 minutes here and there. 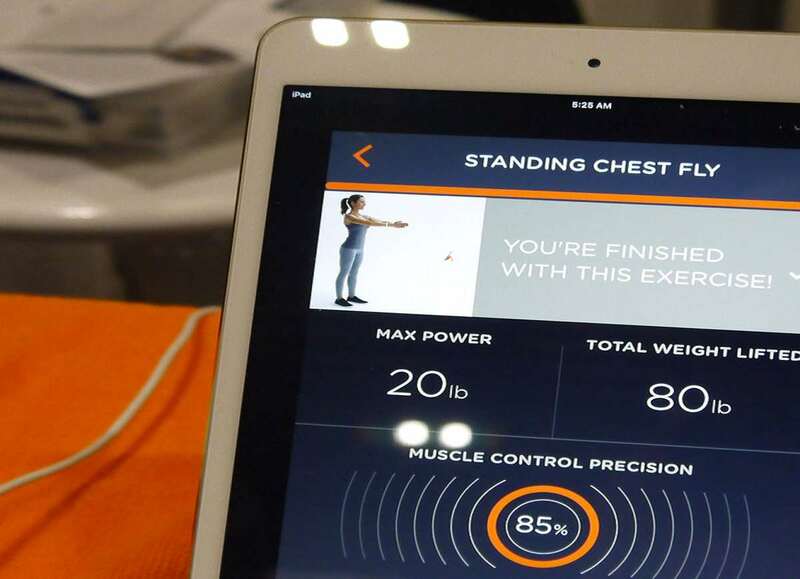 Activ5 says since their isometric workouts "are discrete and static, you can perform them at your desk, while watching TV, or on a plane." 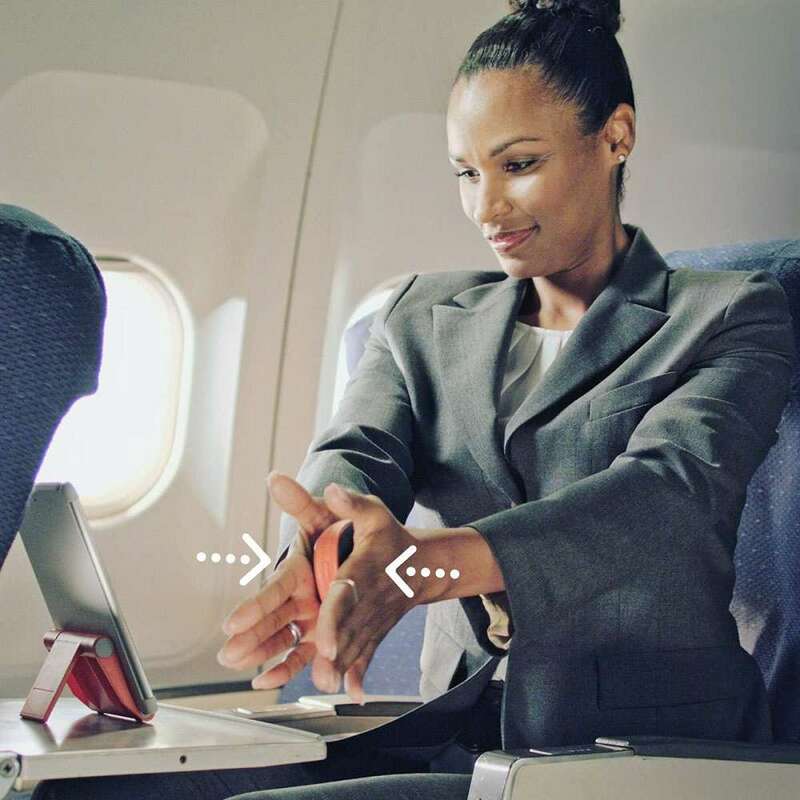 Yeah, check out the shot of the business lady squeezing one out on an airplane. I sure I hope I sit next to someone grunting, sweating, and side-elbowing out an Activ5 fitness routine the next time I fly.